Fashion trends are often circular, someone wears something fabulous, people follow suit and then 20 years later that trend has a revival. Thats why the 90s have made a revival in recent years. However, there are some fashions that are timeless and classic, and no matter what they are guaranteed to always look stylish. Black clothing is always an effortless yet elegant fashion choice. In the Renaissance period, due to the expense of black dye, black clothing became a popular symbol of status. Audrey Hepburn popularised the LBD in the film Breakfast at Tiffany’s and since then we haven’t looked back. Black clothing is a symbol of classy, timeless elegance. This trend was popularised in the early 20th century and has a definite nautical feel to them. Blue and White Stripes no matter the year are always something that is found in stores. They go with almost anything and are undeniably flattering. They are one of the easiest ways to class up any outfit. To anyone that doesn’t have a trusted trench coat in their closet, go out and get one right now. 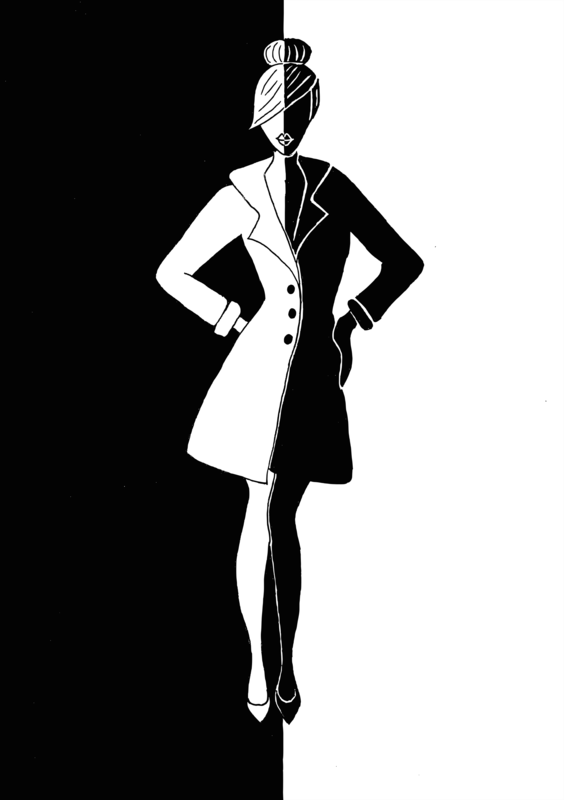 I could never imagine a time when trench coats go out of style, they can make even the most boring outfits look suddenly elegant and sophisticated. The best trench coats are neutral coloured although a red trench coat giving a splash of brightness, shouldn’t be looked down upon. Although jeans have been around since the early 20th century, they didn’t take off as trends until the 50s. Since then jeans have never gone out of style, they are comfy, and flattering. You had mum jeans in the 80s and 90s, flare jeans in the 00s and now we have skinny jeans. Whether it be the simple white T-shirt or an elegant white blouse, white shirts should be a staple of anyone’s wardrobe. Pair them with jeans and you have created a sophisticated ensemble from a casual one. White is also a universally flattering colour. Florals are an effortlessly feminine and timeless addition to any ensemble. They have been a popular addition to clothing for centuries, from the Rococo fashions of Madame de Pompadour to the glamorous 1950s dresses of Audrey Hepburn and Grace Kelly. Next Post Why the 70s, 80s, and 90s seem like the worst fashion decades.